Believe it or not, avocados are in season and if you’re not familiar with avocados, you’re missing a rich treat. It’s that time of season as countless stalls, shops and even stores have available these yummy commodity that compliments our dishes very well. The avocado is native to Mexico and Central America but now is widely cultivated. The tree has a straight trunk with a spreading crown and will bear fruit four to eight years after planting. The leathery leaves are elliptical to lanceolate (shaped like a lance head) and strongly veined. The flowers are small (six millimeters) and grow in bunches. The fruit is a large fleshy pear shaped drupe with a green skin. There are many varieties and the skin color and texture varies from variety to variety. The seed is large and has two halves. The avocado is widely considered a vegetable, since it is commonly used in salads. However, it is actually a fruit that tastes like a vegetable, and most markets display it with other typical fruits. In some areas, it is known as the avocado pear and also the alligator pear due to the pebbly, rough exterior of one of the common types. The fruit is very rich in vitamins, proteins and fats (7 to 23 %) with little sugar. The tree reproduces by sprouting from the seed or by budding and can be grown by taking cuttings. 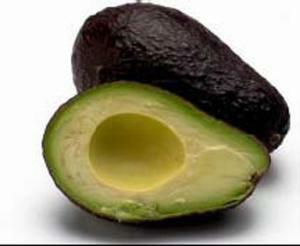 The fruit of the avocado is used primarily as food. Avocados are used not only in salads but also in breads, desserts, main dishes and non-culinary creams for facials and body massages. Oil from the avocado has also been used as salad oil and in the manufacture of cosmetics. Some specially prepared avocado dishes include the ever popular “Guacamole” which is a salad that consists of mashed avocado seasoned with onion, hot peppers, tomato and lime. It is served with freshly fried tortillas and eaten as a dip and, oh man, it’s good eatin’! The guacamole is used also to compliment dishes like tacos, or as a garnish to other foods. They can be found at Antojito’s Letty’s on Pescador Drive or other street vendors and shops in San Pedro. Buy them today and make you and yours a yummy dip or devour over lunch as it compliments many dishes very well.